After browsing for a while and looking for an iPhone sketch paper I could print out to jot down some ideas for an app, and not (yet) wanting to spend a lot of $ for a really cool notebook, I discovered: the only good option was offline. So I took a photoshop sketch someone had made (which actually _was_ online) and traced it in Illustrator. Maybe someone will get a kick out of it and I’ll spare them a couple minutes making one of their own. Here is mine, as PDF (A4 paper, not chip!) and EPS, if you want to get funky with it. 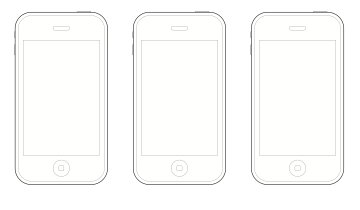 iPhone sketch paper (PDF) iPhone sketch source (EPS) Update: I added little rulers that indicate 20px increments. Update: I made a post with iPad-sized sketches. Check it out. Ich sag euch mal was. 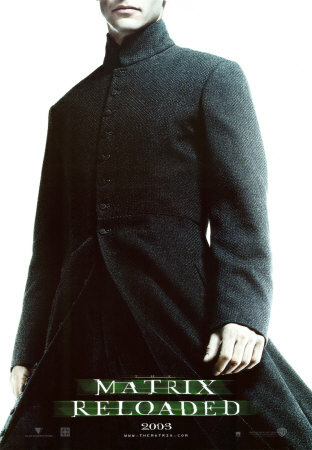 Man kann über die Fortsetzung von “The Matrix” sagen, was man will, aber die Plakate, die vorab aufgehängt wurden, waren fantastisch gut. Ich glaube, es hat sich bis dahin und seit dem nie jemand getraut, die Köpfe der Protagonisten anzuschneiden. Respekt.